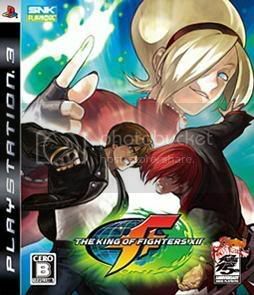 Anyone remember the arcade series King of Fighters? Anyone ranting that KOF12 is only released for Japanese arcade centers? The rants can be stopped! SNK just announced on the official KOF website that KOF12 would be released on the 16th of July in 2009 on PS3 and Xbox 360 worldwide. The price is 7140yen with tax (It should be tuned down to $59.99 when it gets to America). This newest game in the series comes with a new concept called the "KOF RE-BIRTH," which creates a brand new feeling to the graphics and the gaming system. As for the battle gameplay, it is going back to the old 1-on-1 style instead of the free-character-switch which was employed by the earlier games in the series. The PS3 and Xbox version come with new characters and online battle capabilities with PSN and Xbox LIVE. Also, the "Limited Release Edition" comes with a CD called "KOF15th Anniversary SPECIAL SOUNDTRACK" which brings back the favorite hits of the game in the past 15 years. While it is not certain if the limited edition would be released outside Japan with the worldwide release, it certainly would not be hard to import. I already pre-ordered BlazBlue... So I wonder if I should get this.